The Aspar MotoGP team has been renamed in honour of iconic former rider Angel Nieto, who died earlier this year at the age of 70. 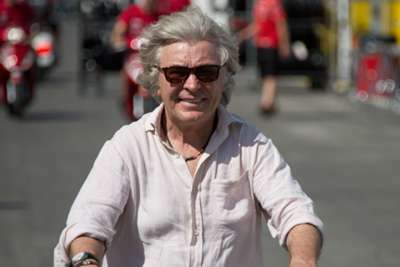 In 2018, the outfit founded by Jorge 'Aspar' Martinez will be known as the Angel Nieto Team. A four-time world champion himself, Martinez was a friend and rival of Nieto during the latter's illustrious racing career, which yielded 13 world titles and 90 grand prix victories. Nieto passed away in August after suffering serious injuries in a quad bike accident in Ibiza several days earlier. Commenting on the decision to rename his team, Martinez said: "Angel Nieto is synonymous with motorcycle racing, a sport that gave him so much and to which he gave so much in return. "Motorcycle racing is what it is in Spain thanks to the man who laid the first stone and we want to pay homage to that fact by renaming our team the Angel Nieto Team." The newly named team will be led by Nieto's eldest son, Gelete, who added: "Motorcycles were his way of life and through this team we will make sure he remains in touch with his great passion."